Committed to supplying quality to customers, RotoTank KZN in Marburg specialises in manufacturing a wide range of polyethylene storage tanks, including vertical or horizontal water tanks, chemical, transport, septic tanks and silos. We also produce koi ponds and plastic pools. All tanks come with a manufacturers warranty, are available in a wide range of colours and are manufactured to the strictest quality guideline's. These tanks are impact resistant, non corrosive, seamless and are a useful for storage of most industrial chemicals including a wide range of herbicides and fertilisers. With the future threat of water scarcity and outages, water tanks are an excellent way to collect rainwater. 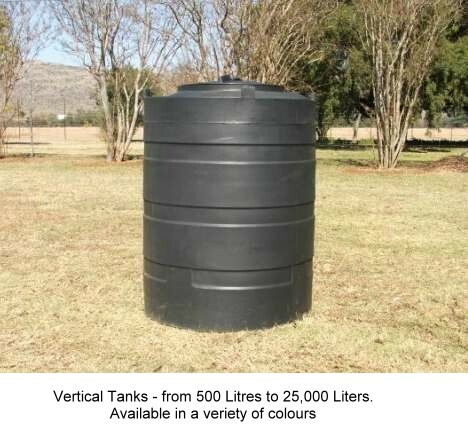 RotoTank KZN in Marburg supplies tanks for rainwater harvesting - you just need to decide how you wish to use the stored water whether it be inside your home or for watering your garden. All water tanks come with a five year manufacturer's warranty and they are available in a wide range of colours. South Africa's dwindling water supplies makes collecting rainwater a necessity as we are the world's 30th driest country and water is regarded as gold. Rainwater harvesting is increasingly being encouraged across southern Africa as an alternative supply of clean drinking water at a time when some communities are failing to adequately exploit ground water amid concerns of contamination and pollution. The advantage is that rainwater harvested from roofs does not require treatment before consumption. So a solution to help save water and survive during a drought or water restrictions is to invest in a rainwater tank.